If White doesn't fight the ko, Black lives. 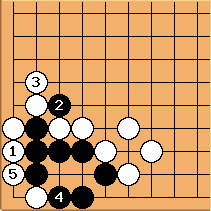 Here we have the ko If Black wins the ko, taking the first line stone, it ruins the value of the White position on the left. 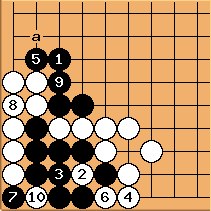 Hence, playing the ko seems to be the best option. 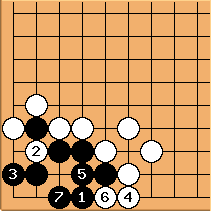 But White seems up for the risk, can Black do better? After - , the alleged miai - and - , a move at a threatens to capture three to make an eye. 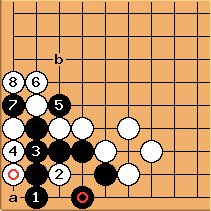 It's important not to play there too soon, due to an imminent shortage of liberties. Instead cuts. After , the throw in at puts White in a clumsy shape. Instead of playing at , White can play here. 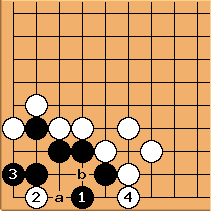 looks like the obvious answer, but completes the pulley tesuji: Black a will be answered by White b. 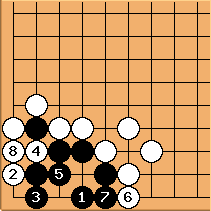 Black is dead, but neglects to use the stone and space above. 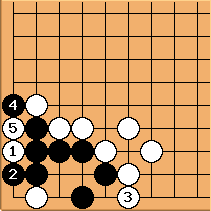 Connecting makes black alive in the corner, except when white reduces from the outside with a! 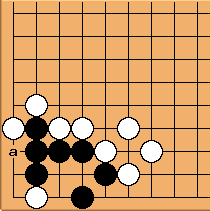 The ko fight by playing a is similar to before. 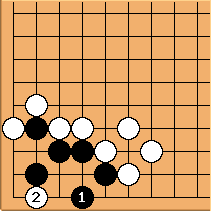 White's attack is desperate but effective, and Black escapes only with favorable conditions outside. can also pincer. 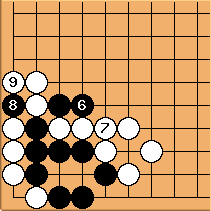 Finally, Black can respond like this, cutting as before, careful of having enough liberties. 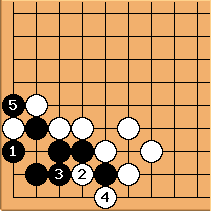 This is actually good for Black. 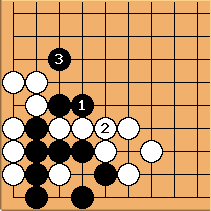 Both colors have 3 external liberties, just like above. 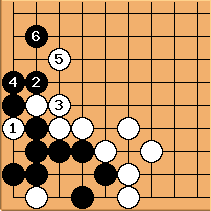 White can always scurry away at a without gaining liberties, but if there is no escape, the liberty race results in a ko for the corner that White takes first. 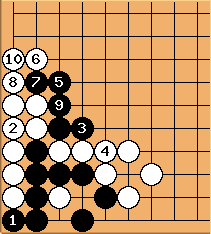 This result is probably considered much better for Black, because compared to starting the ko at the original position, Black gains the thick group on the outside. 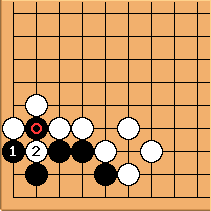 So perhaps can be considered to make life - although it still depends on ko and conditions on the left side, and playing ko is more natural. 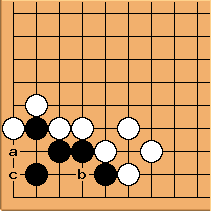 White trying to kill leaves bad aji. Herman: What if white plays at ? wurfmaul: White can crawl further in this manner, but will die without supporting stones. Is this satisfactory?